As we gear up our barbecues and dig out the hats and shorts in preparation of the coming summer, Germany and the rest of Europe get ready for winter. Mind you sitting in my office listening to the rain beating against the windows of our South Wairarapa home you wouldn’t think summer is coming. Anyway, throughout Europe the finishing of the harvest and preparation for winter has been the reason for a range of festivities. While Halloween has achieved international fame since its celtic harvest festival beginnings, St. Martin’s day remains a strictly European tradition. 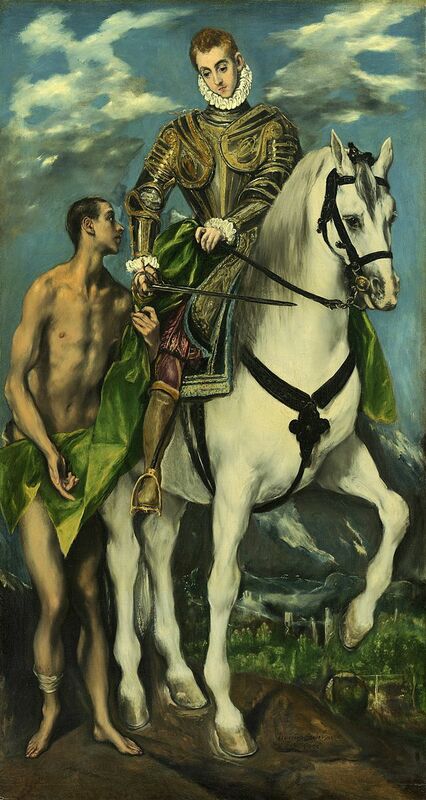 The day celebrates in various ways the life of the Saint Martin of Tours. The celebrations on this day cover two aspects of early social life: Thanksgiving for the harvest and the beginning of a fasting period in preparation for Christmas. Even though most of the celebrations have some things in common – food and parades – each country has their way of making them their own unique celebrations. Today I want to focus on the German way of celebrating it. In modern Germany this is a celebration mainly for the kids, even though I’m sure the adults enjoy it as well. Rural and urban celebrations differ a bit, but they all have a procession in common. 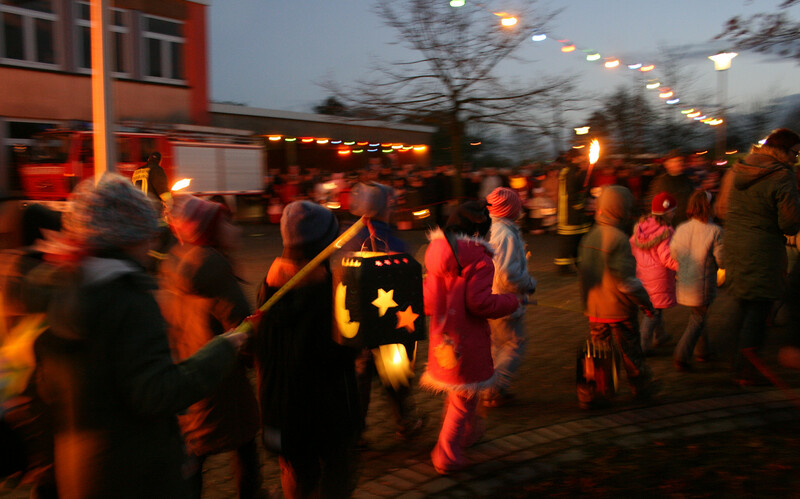 Generally starting at the parish church and going to the city or township centre, a procession led by St. Martin is the beginning of the evenings’ festivities. 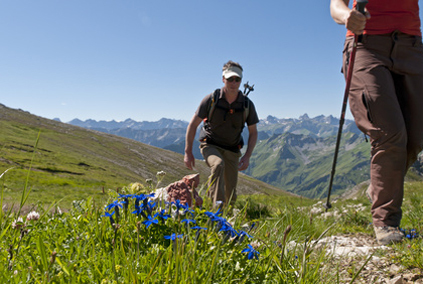 In rural communities St. Martin might even be on horseback, if he’s up to it. During the procession traditional church and folk songs are sung, which sounds impressive if the church choir is present. The children carry lanterns which used to have been made at school and used to depict religious images and scenes. Nowadays lanterns can be bought and come in all sorts of designs. At the end there is a bonfire, size of course depending on the locality. I remember in my rural home village that the bonfire would be set in the middle of a bare paddock and have the local fire brigade standing by! Afterwards we would be led back to the community hall, get our Weckmann and start doing our rounds of the houses, singing the songs from the parade for lollies and other sweets. Kind of like the trick-or-treating at Halloween, except no repercussions for Scrooges. This day and all the other activities throughout November and December make it easier to come to terms with the grey, dark and cold climate one has to endure. Every celebration has activities in preparation for it, lantern making, cookie baking, Christmas tree decoration making and then finally in the last four weeks before Christmas visiting family and getting presents ready. 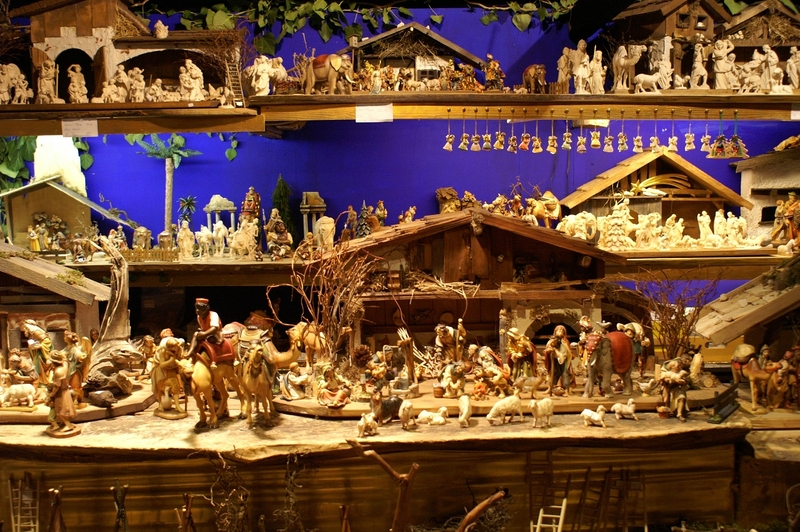 The Christmas markets throughout Germany offer a range of traditional crafts and foods to be enjoyed by the adults and the children hover with greedy anticipation over their Advent calendars. With a lot of expat Germans in New Zealand, some of these traditions have made it down under: check your local papers for advertisements by the local German play- and learning group for these activities: St. Martins is usually on the 10.11. and any processions should happen then. Guests are normally very welcome and you get to try traditional German baking! If you’d like to know more please contact us and we’ll do our best to help.